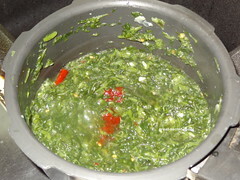 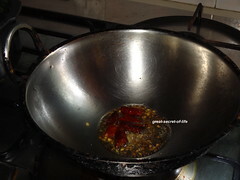 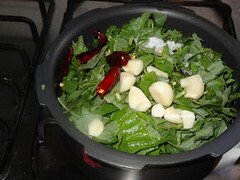 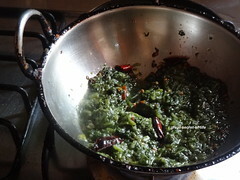 Cook Keerai, Garlic, red chillies (reserve 1 for tempering) and required salt. 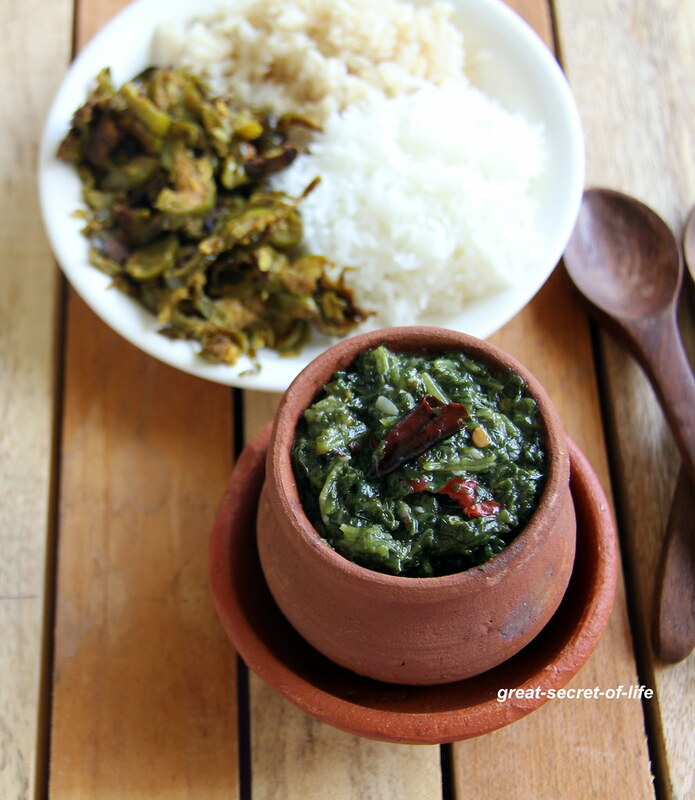 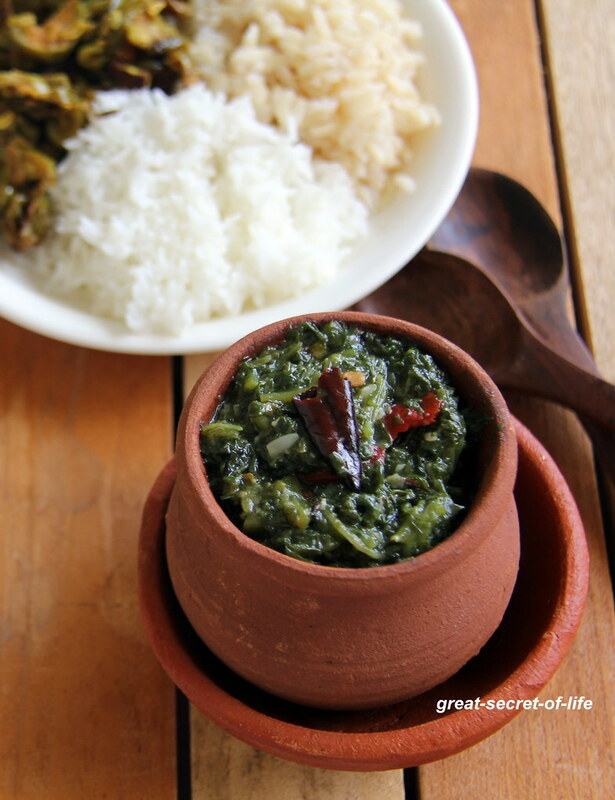 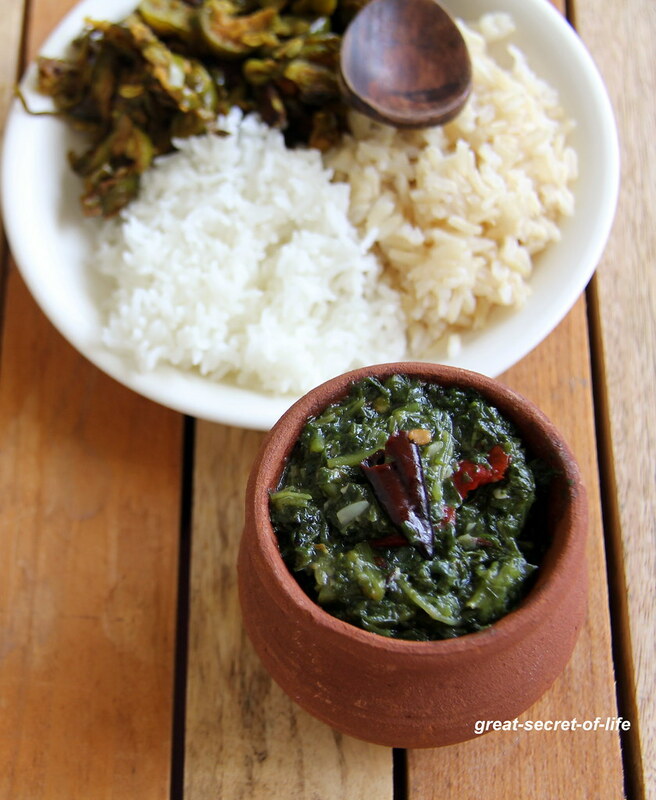 One of my favorite dishes with keerai, healthy and delicious.. 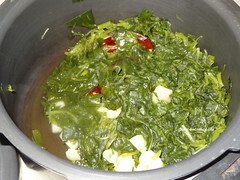 I can survive for many days with this healthy masiyal.